 Home » testimonial » What a stellar experience! WHAT A STELLAR EXPERIENCE!!! 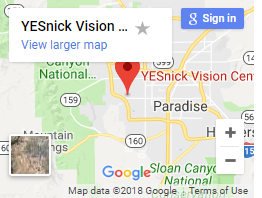 I am new to Las Vegas and was reluctant to find a new eye specialist but finding YESnick Vision Center was truly a gift. From making the appointment, to signing in, to the initial exam, then the help with choosing frames made me feel at ease and I knew I was in competent hands. There were other people waiting but I was treated like I was the only person in the room. And then there is Dr. Yesnick….he was not rushed, asked question to get to know me and my eyes. He gave me a full eye exam and suggested ways to move going forward. 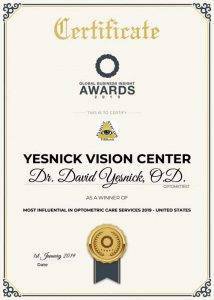 I am 54 years young and have never had an exam or an experience at any eye place like the YESnick Vision Center. THANKS to all of you! It takes a great team and Dr. YESnick has created just that!